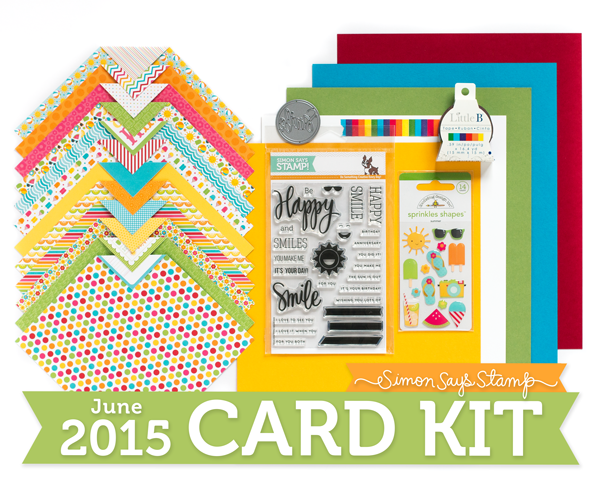 I'm popping by to announce the winner of the Simon Says Stamp June 2015 Card Kit and to share a card I made recently. That Mr. Sun is super cute!!! Simon's Artful Flowers stamps are so pretty. Here I coloured them with pencil crayons on Neenah Desert Storm cardstock, added some Wink of Stella Clear Marker (which is hard to see in the picture), and went over the centers with Glossy Accents. The fabulous sentiment is from Simon's Hand Lettered Winter Wishes Stamp Set. The green cardstock was stamped using Simon's Diagonal Stripes Background Stamp. Finally, I embellished the card with some floral wood veneer pieces from Studio Calico. Thanks for stopping by! I hope you all have a wonderful weekend! Sarah I love how you colour the flowers, they are really pretty!! Congrats, Helen! 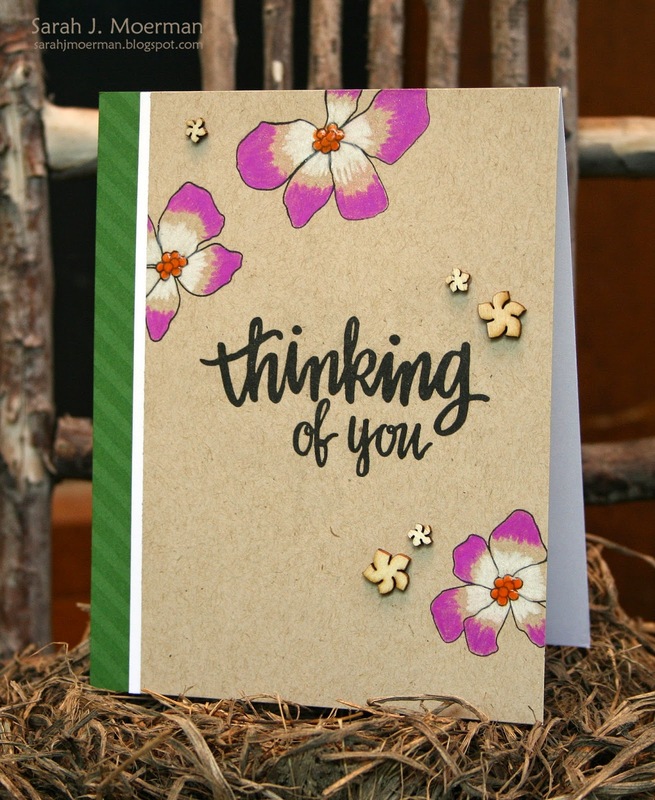 I love your coloring technique with these flowers on desert storm card stock, Sarah! Sign up through my referral link and get a $10 coupon for your first purchase. Simon Says Stamp Smile Journal Card (& GIVEAWAY)!